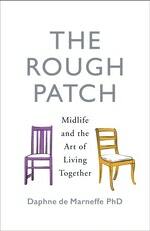 A wise, radical and optimistic approach to the stresses of marriage and midlife from a leading clinical psychologist. The years of midlife can be a struggle. Children grow up, jobs change and the things that used to make us happy don’t necessarily work anymore. Long-term relationships, in particular, can lose their shine. In The Rough Patch Daphne de Marneffe shows us a way through these potentially difficult years to a life lived with integrity, vitality and love. She offers us seasoned wisdom on the psychological, emotional and relational capacities we need in order to overcome our problems as individuals and as couples. Every reader will find himself or herself in these pages. 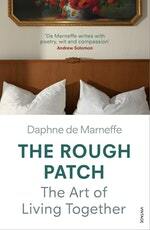 Love The Rough Patch? Subscribe to Read More to find out about similar books.